Since it's sold as a single-spec vehicle, the Buick Enclave only requires you to order options. We'd opt out of the rear-seat DVD entertainment system--and outfit the kids with tablets and turn our smartphones to hotspot mode. 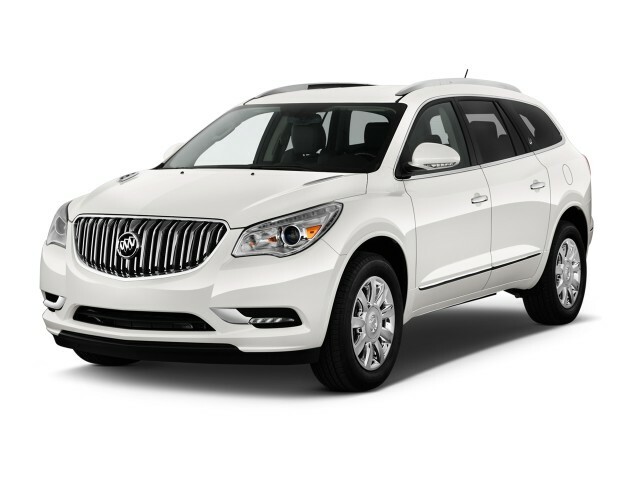 The Buick Enclave remains one of the most distinctive and comfortable large crossovers, and a substantially upgraded interior keeps it contemporary for 2013. The Buick Enclave is a large crossover vehicle that helped the brand usher in a new sense of style and a new generation of vehicles, back when it was a new model in 2008. After five years on the market, sales are still strong, and it's grown to become more feature-rich and refined for the 2013 model year. More than halfway through its life cycle, GM's put some fresh touches on the Enclave, including an upgraded interior, some minor drivetrain and suspension improvements, and new infotainment and connectivity hardware, all in the quest to keep sales growing. We'd judge the changes a success, mostly because they don't tamper with the Enclave's goodness. That starts with the cleanly styled, curvy Coke-bottle exterior, which still looks contemporary, and now wears LED lighting and a new grille. The cabin's where the changes are more obvious: it's a full-on facelift, with new trim and materials that remove most of the hard plastics we've griped about, and replaced them with soft-touch pieces that finally merit the Enclave's pricetag. Specs remain the same for the Enclave's powertrain. 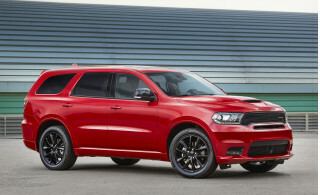 All models have a 3.6-liter V-6, making 288 horsepower and 270 pound-feet of torque, and it's paired with a six-speed automatic transmission and a choice of either front- or all-wheel drive. An updated six-speed automatic transmission is less shifty than before—that's good news, as the Enclave and its GM crossover companions often hunted through upper gears. 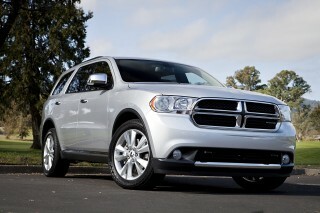 Fuel economy remains the same, in the acceptable 24-mpg highway range for a big crossover. Ride and handling are less obviously massaged, but new dampers in front and retuned shocks in back don't disturb the Enclave's smooth ride or its reasonably responsive feel. It's still a vehicle that "drives big," but it's never been one that's felt anything but predictable. 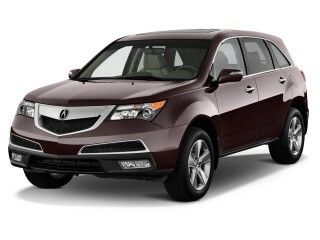 The Enclave fits up to eight inside its cabin, and its standard features make it a player in the crossover world too. With all the seats in place, it's an acceptable minivan replacement, and with front-row heated and cool seats, it's comfortable like one too. Adults will fit fine in the first two rows of seats, although we wouldn't ask friends to sit in the wayback for long—family members may have to fit back there depending on how hard they played during the Thanksgiving football tournament. Behind the third row there's 23 cubic feet of cargo room, and with the second and third rows folded, that space expands to 115 cubic feet. The rows fold away neatly and we just remembered we have a date with IKEA that we need to keep. The 2013 Buick Enclave also marks a first for safety: a front-center airbag that keeps safe front occupants in a side impact. Blind-spot monitors are new for the Enclave too. For those reasons, and a perfect score from federal testers and the IIHS, the Enclave aces our safety score for this year. Buick's infotainment system, which it calls IntelliLink will be news to some shoppers, which helps the Enclave jet to the front of the line in connectivity. Bluetooth hands-free calling and audio streaming, including support for internet radio such as Stitcher and Pandora, are included. HD and satellite radio (subscription required), USB ports, a rearview camera, and voice recognition are all newly standard equipment this year. A premium Bose 10-speaker audio system and navigation are new additions to the options sheet. 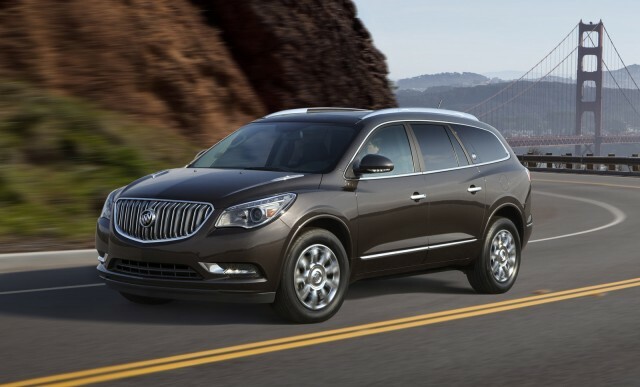 The Buick Enclave's curvy, attractive exterior is complemented by a more modern interior layout for 2013. The Buick Enclave is a few years along in its life, but the appealing look it introduced a few years back remains fresh. We think it's the most handsome of GM's large crossovers—the curvaceous sheetmetal has a more distinctive set of lines than almost anything else Buick offers, and the balance of chromed details to broad panels of sheetmetal is just over the top enough to qualify as American. The only details we'd change: we'd find a way to mute the C-pillar, as it breaks up the pretty expanse of glass that gives the Enclave most of its grace, and we'd axe the faux "ventiports" on the hood that look like tacked-on aftermarket bits. Inside, cabin appointments are more successful than ever. The instrument panel skirts the line between the vaguely Art Deco look that Buick was trying to pull off a few years ago, crossed with some more contemporary instrument panel curves, complemented by a big analog clock up top on the dash. Altogether, it's classy and conservative, and there's been careful attention paid to the integration of a large LCD screen this year—and to the updating of some interior materials from hard plastics to soft-touch ones with stitching. The Enclave's interior finally looks like one that can command its pricetag. Performance is hardly inspiring, but the Enclave feels about how you'd expect for one of the larger three-row vehicles. Though it doesn't have the strapping, turbocharged power of the Ford seven-seat crossovers, the Buick Enclave's V-6 engine gives it strong acceleration that matches up well with a smooth ride that's slightly improved this year. The powertrain for the Enclave teams GM's 288-horsepower, 3.6-liter V-6 with a six-speed automatic that was, in fact, co-developed with the unit Ford uses in its Flex crossover. The combination in the Enclave's received some tuning this year, with reprogramming for the transmission to reduce the hunting in upper gears that's been a complaint since the Enclave was new. In our brief drive, shifting between gears felt more at ease at higher speeds, while the Enclave never strained to reach speed. The engine's usable powerband sits higher in the rev range than in some crossovers, giving it a perky feel, still torquey enough at city speeds. 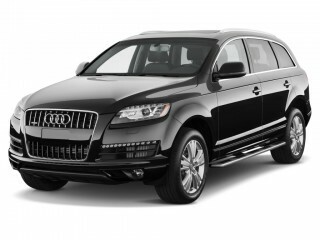 Handling isn't quite carlike, though the Enclave rides as well as many luxury cars. This year, Buick's fitted new dampers at the front and revised those in the rear for a more absorbent ride. 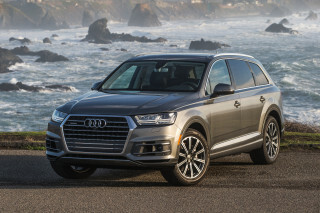 If you get the larger 20-inch wheels, you'll add a little more harshness, even though it's still softer and more refined than other three-row crossovers. It's tough to forget that the Enclave is a big, heavy SUV, although it does ride and handle very well for its class. The weight becomes evident every time you start, stop, or abruptly change direction with significant nosedive and body roll. There's good news: the firm brake pedal feel adds a little more confidence than the weight transfer might erode from drivers. Buick offers the Enclave in front- or all-wheel-drive configuration, and it's rated to tow up to 4,500 pounds, which should be enough for a weekend toy haul of a small boat, jet skis, or gear up to the lakes. A quiet, comfortable ride and seating for up to eight make the Enclave a great family road-trip vehicle. The Buick Enclave's forte is its spacious, comfortable interior. 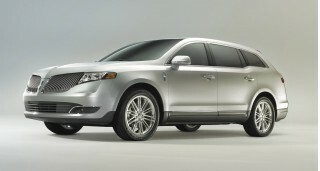 It seats up to eight passengers, and has minivan-like cargo space when its second- and third-row seats are tucked away. It also has a standard of refinement that isn't found in some other large crossovers, even ones that share its running gear. The Enclave has more usable space and flexibility than most truck-based SUVs. The front seats are wide, not particularly formed or shaped for smaller builds, and they're softly upholstered. This year, they're also offered with heating and ventilation, a feature we're finding more common in luxury vehicles with each mid-cycle refresh. The Enclave's second-row seats perch a bit higher than in most other large crossovers, which makes them comfortable for adults, and gives a good view out. The third row may be adequate for some adults. It's among the largest for its class, but getting into the third row could be a challenge with a high step-in height. The second row seats tilt out of the way for entry and exit into the third row, and with enough room for three children across the back bench, the Enclave may be a suitable minivan replacement for people put off by sliding doors. With 23 cubic feet of cargo storage available behind the third row, the Enclave has the capability to carry passengers and goodies in equal turns. Fold down the second and third rows of seats into a flat floor and 115 cubes awaits any robust run to the home improvement store. The only issue we've found with getting big boxes in and out of the Enclave are the wide-swinging doors, which could be a hassle in tight parking spaces. Throughout the cabin, materials and trims are quite good, and this year's revamp of the dash has added more soft-touch materials where hard plastics once were used. It's a richer look, more fitting for a pricey family wagon like this one. With a class-first center front airbag and a strong record for safety, the Enclave is one of the most reassuring, secure picks. The Buick Enclave has a strong track record when it comes to crash tests. 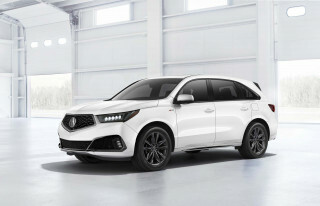 Both the National Highway Traffic Safety Administration (NHTSA) and the Insurance Institute for Highway Safety (IIHS) have released scores for the 2013 model year, and the addition of a few new pieces of technology has added luster to the Enclave's performance. The NHTSA gives the Enclave five stars overall, with all five-star scores save for a four-star rating for rollover resistance. The IIHS calls it a Top Safety Pick, too. Standard equipment on the Enclave includes front-seat side airbags, full-length side-curtain airbags, and electronic stability control. A rearview camera is now standard across the lineup, enabled by the addition of the Enclave's new color-touch radios. The big innovation in the Enclave for this year is an additional side airbag fitted to the inboard position on the driver seat. This front-center side bag, Buick says, will protect the front passengers from injuring each other in the case of an accidents, and it's a GM exclusive, with the Enclave one of the first vehicles to get the feature. The Enclave now also offers blind-spot monitors with cross-traffic alerts. For 2013, the Enclave gets the connectivity interface it needs to be competitive against true luxury-brand rivals. The Buick Enclave looks like a reasonably good value, for an almost-luxury, three-row vehicle that starts under $37k. Standard equipment for the Enclave is pretty rich, though. 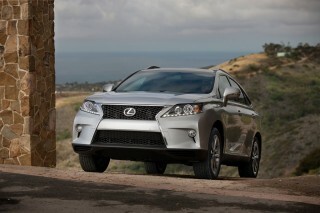 Satellite radio, Bluetooth, power features and cruise control are standard across the line. IntelliLink is the big news for some shoppers, as it brings the Enclave's interior up to the leading edge in connectivity, with a relatively easy interface (as we've found in other models), well-integrated Bluetooth hands-free calling and audio streaming functionality, and apps for Pandora and Stitcher audio. A rearview camera system, a USB port, HD Radio, satellite radio, and voice recognition are also part of the standard kit, while navigation is optional, as is a ten-speaker Bose sound upgrade. Other major options include a navigation system, front parking sensors and remote start, along with 19- and 20-inch wheels, a head-up display (HUD), heated and cooled front seats, and a rear-seat DVD entertainment system. Buick's done away with trim levels, so instead of opting for an Enclave CXL or CX, it's simply a matter of ordering options on the single model. Doing just that, you can easily push the price of the Enclave past the $50,000 mark. The Enclave is hardly lean and green, but when you consider there's space for up to eight the numbers work out pretty well. Gas mileage remains the same as before with the Buick Enclave—with highway figures in the mid-20s, it's competitive with other seven- and eight-passenger crossovers, if not particularly efficient overall. The front-wheel-drive edition of the Enclave is rated by the EPA at 17 miles per gallon city, 24 miles per gallon highway. It's not significantly different from vehicles like the Ford Flex, and it does apply to a vehicle capable of carrying up to seven passengers. Still, the overall numbers come in far below that of many five-passenger family sedans—vehicles often overlooked in the rush to buy a crossover wagon. The figures drop to 16/22 mpg when all-wheel drive is ordered.